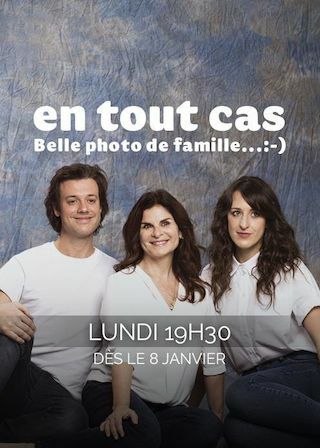 En tout cas is a Canadian 30 minute scripted comedy television series, which kicked off on January 8, 2018, on TVA and is broadcast every Monday at 19:30. The show is currently in its 1st season. TVA is yet to announce the renewal of En tout cas for Season 2 as well as its cancelation. Sign up to track down the show's status and its release date. En tout cas refers to a common expression used by Quebec mothers to subtly express their disapproval to their kids. The series will focus on the sometimes tender, sometimes stormy  and always comical  relationship between Danielle, her daughter Chloé and her son Fred. The story unfolds as Danielle  who's lived her entire life in a small town  moves to Montreal, where her kids have been living for several years.